I was impressed with Ignatius' calm demeanor. He gave me a smile and a handshake as he sat down. This was quite a contrast from the often stern spiritual director I had read in Ignatius' letters. It seems resting in eternity with the communion of saints has mellowed Father Ignatius a bit. And also given him great fluency in English. 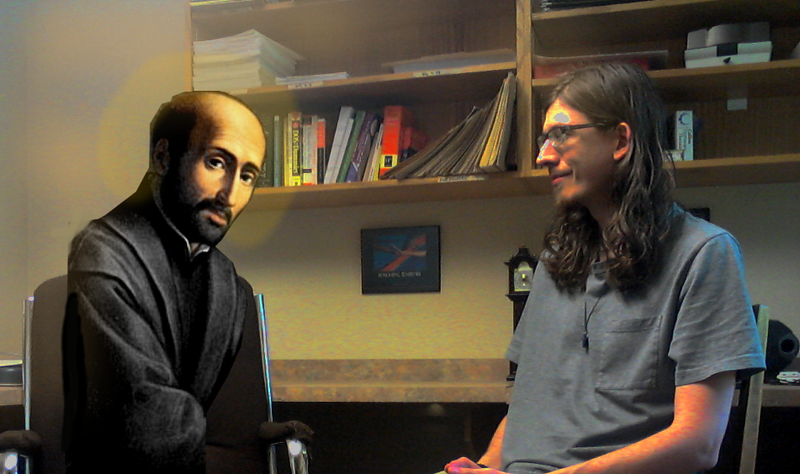 ERIC: St. Ignatius Loyola, founder of the Jesuits and author of the Spiritual Exercises, thank you for doing this blog interview. IGNATIUS: Hello, Eric. Pleased to be here. ERIC: I guess the first thing I'd like to ask is about the past. You were there. 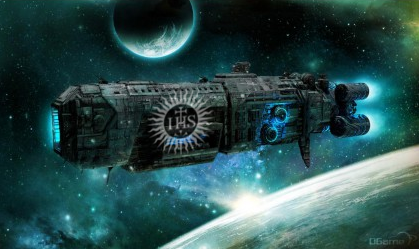 What was your experience of the Jesuits as they first really came into their own as a religious order? IGNATIUS: I was surprised. My life has been a continual story of surprise at how little my results resemble my plans. When I first started out as a pilgrim I wanted to live in Jerusalem and minister to people there. But as you know, our plan B became simply to go wherever the Holy Father had need of us. So we ended up teaching, preaching, and ministering to the poor in many different places. I was also surprised by the number of people who wanted to work with us. In my mind, I hadn't seen our little community growing much beyond a few small circles of friends. But by the time I was an old man the Society served dozens of schools and had almost a thousand men: as well as support from all sorts of collaborators and friends. I was delighted; but I was also very aware that we should remain humble and grateful in times of success. Better to rely on God in times of adversity. ERIC: What was it like when they elected you Father General? IGNATIUS: I tried my hardest... but they elected me anyway. I was looking forward to a quiet life of prayer and contemplation and then it was all just work, work, work. Oh well. It was fun sometimes. ERIC: What about the present day. What do you think about the tumultuous world of this generation? IGNATIUS: Every time in history calls itself tumultuous and unstable. We are always unstable when we look to the visible and the worldly for understanding. As a saint, it is my privilege now to see the innumerable labours of God in the lives of individual people. Unnoticed by anyone else, companions are at work in the world. A woman who works tirelessly for the marginalized. A boy who forgives, even when it hurts. An elderly Jesuit who prays for his brothers each day while others think he is sleeping. Look to grace and you will understand the events of your time. ERIC: What about large-scale issues, like globalization or technology? IGNATIUS: They are wonderful opportunities. I have always held that companions of Jesus should live as He did: always going to the margins and working for reconciliation. We have the opportunity to view large, global trends with an eye towards how they can promote peace and justice. The same perspective applies to technology, which should be used to the extent it serves and praises God and discarded to the extent that it does not. If we can reach people through art and culture, the internet is a good medium to do so. I'd like to see many more of ours on Youtube for example. A blog is all well and good, Eric, but it's a little 2004. Let's see some more videos. 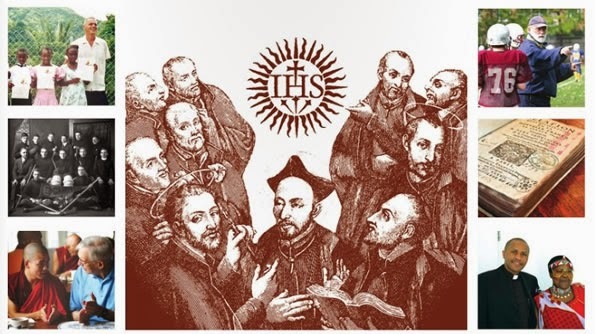 IGNATIUS: Young man, a Jesuit should always be doing more, always be stretching himself further. How else will you learn dependence on grace? ERIC: I'm starting to understand a lot of your letters. Alright, you got me. I'll do what I can. But before we close, can I ask how you think the Ignatian tradition will unfold in the future? IGNATIUS: Well, I do have a little special insight into such things but it wouldn't be fair to reveal my knowledge of the future. You should focus on doing good in the present moment. ERIC: Come on, just a little hint. IGNATIUS: I've said too much already.